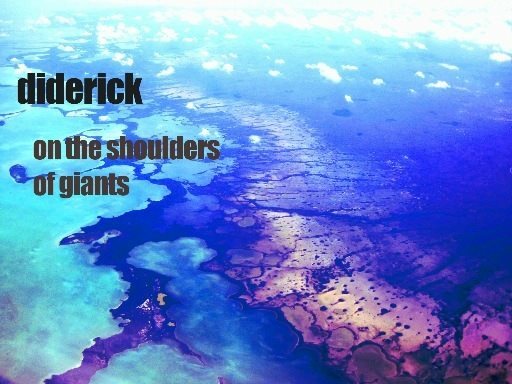 We are pleased to announce that this local and independently released CD from Diderick “On the Shoulders of Giants”, is now available at Backbeat Books and Music for only $5.95. I have always enjoyed checking out his videos on his personal YouTube channel. He is certainly a very talented guy and this new project is certainly is an excellent progression in his music. May 5, 2014 Latest arrivals in music.